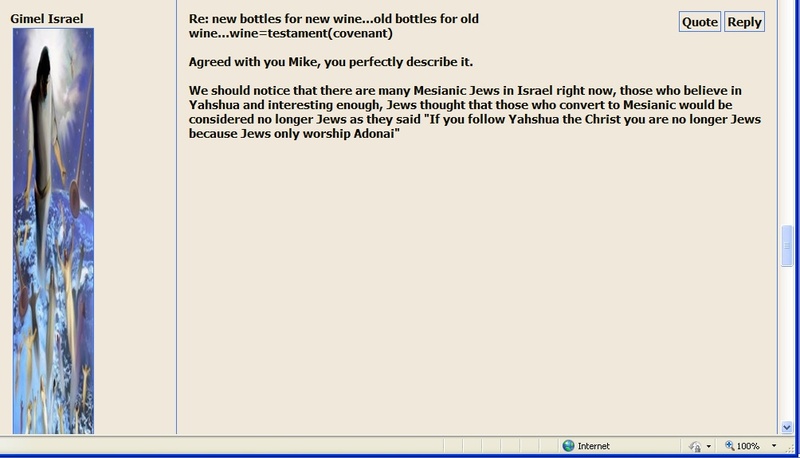 For Fair Use Discussion and Educational Purposes: New Bottles for New Wine...HOLY SPIRIT is NEW WINE? 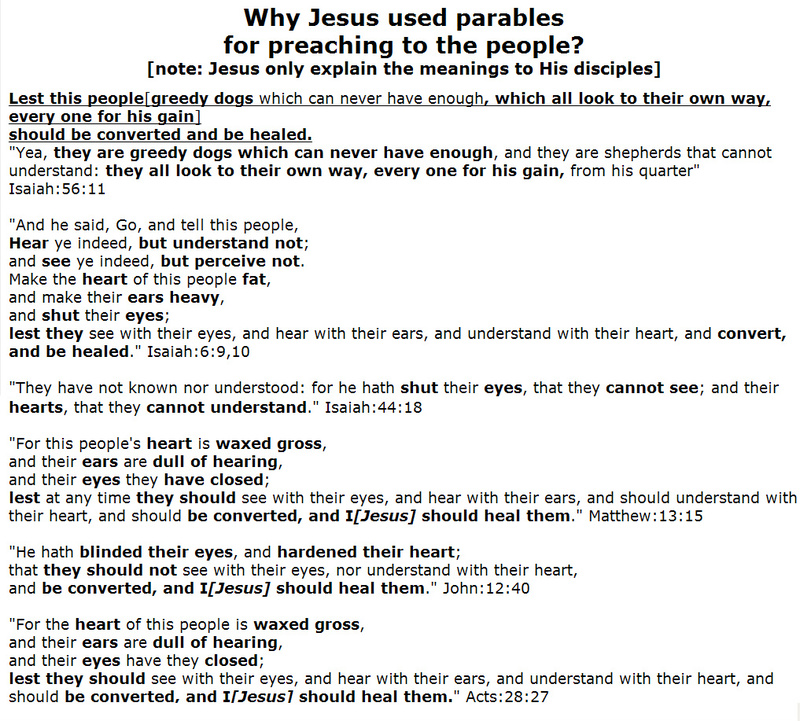 Why can't see, hear & understand parables? 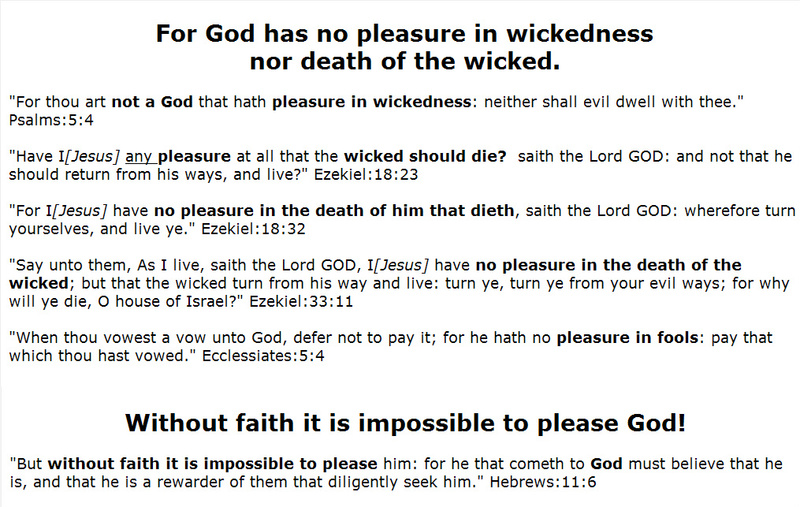 God has no pleasure in wickedness. Without Faith impossible to please God! 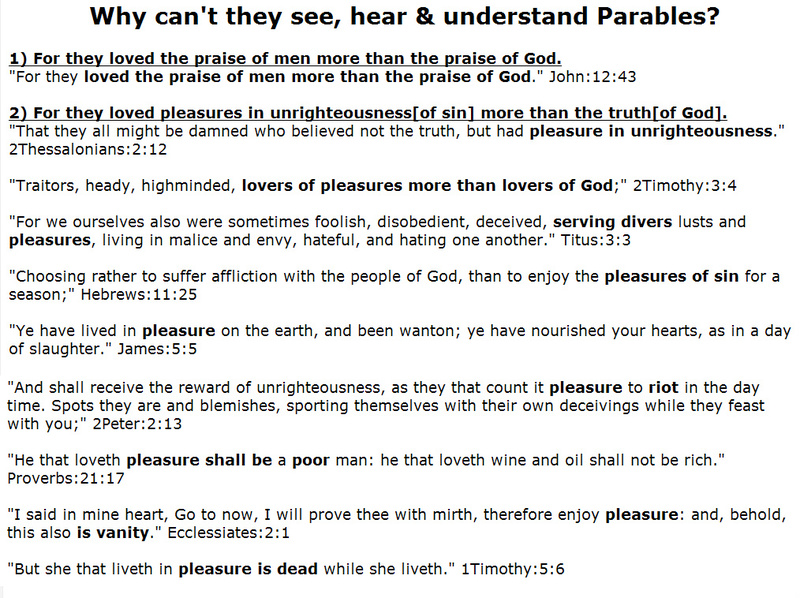 Let us Please God and enjoys Pleasures For EVERMORE! Want your Best from GOD? Do your Best with JESUS. for this is the law and the prophets." do ye also to them likewise." = 10,000% HANDSOMELY[BEAUTIFULLY ] !!! as He hath promised you!)" 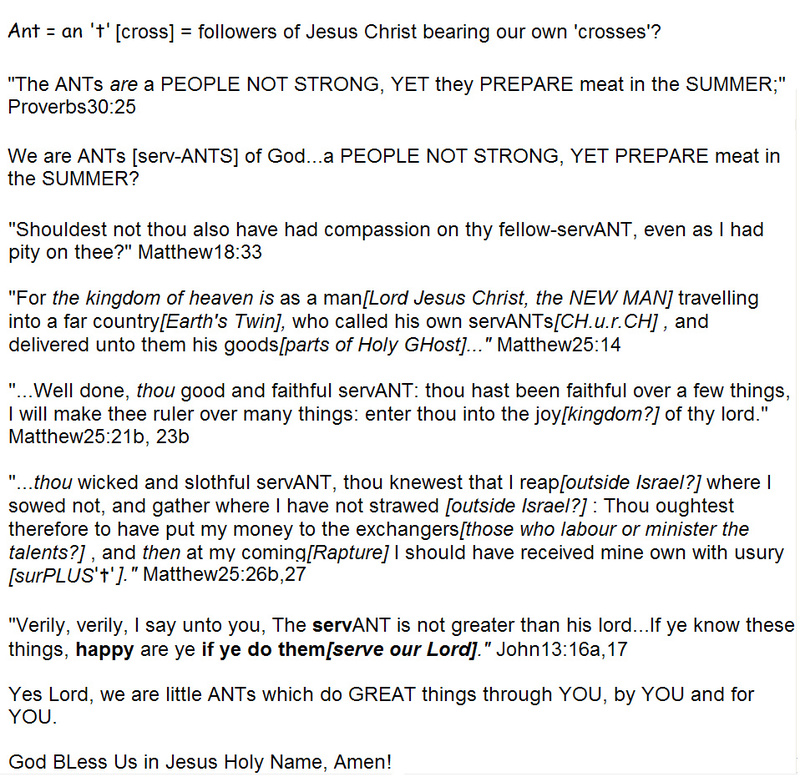 =carry a 'cross' lent by Jesus? would you still keep this Talent under your bed and wait for Jesus' return? isn't it WICKEDness NOT using this TALENT? 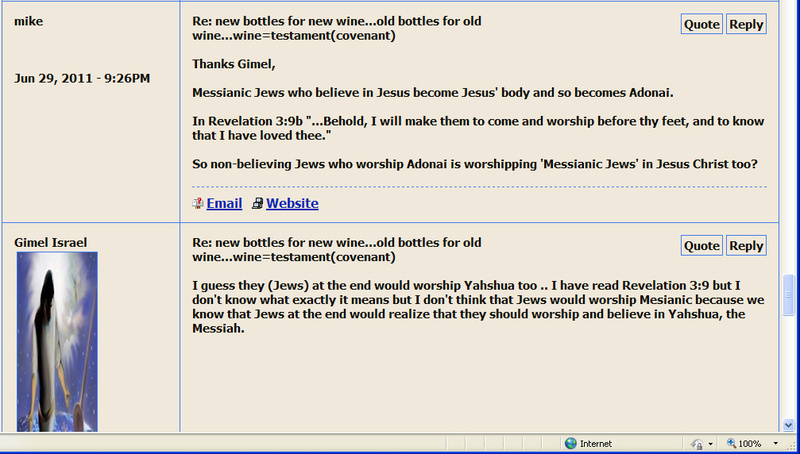 OLD bottles for OLD Wine...NEW OLD Testament? 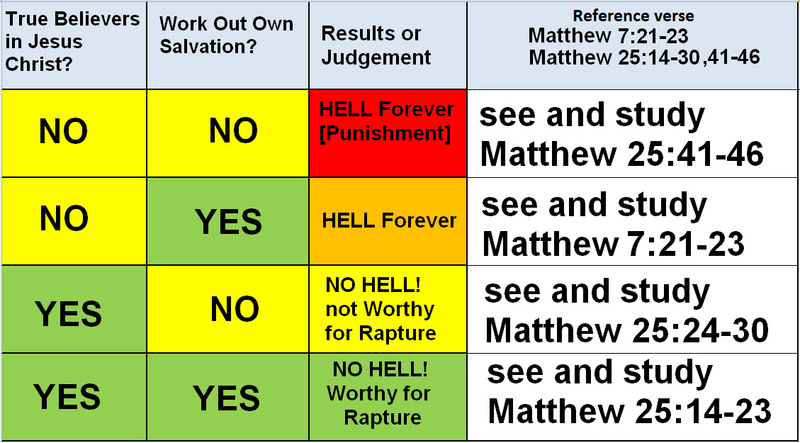 Salvation with body parts thrown into Hell? and do works meet for repentence." 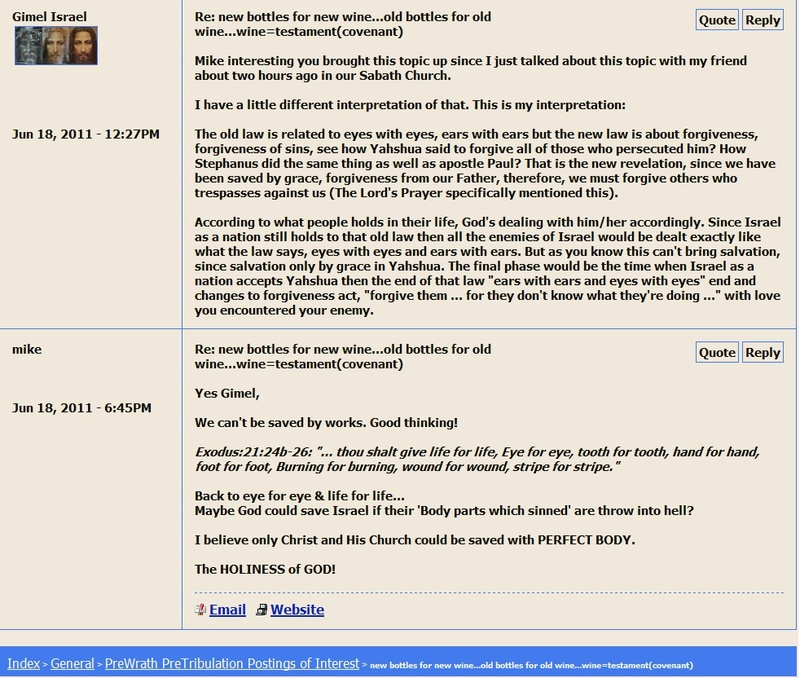 glorify God in the day of visitation." All Exceeding, unsearchable, riches of the full assurance of understanding, in and of the glory of His inheritance in the saints by Jesus Christ. Ephesians:1:18: "The eyes of your understanding being enlightened; that ye may know what is the hope of His calling, and what the riches of the glory of His inheritance in the saints,"
Ephesians:2:7: "That in the ages to come He might shew the exceeding riches of His grace in His kindness toward us through Christ Jesus." Ephesians:3:8: "Unto me, who am less than the least of all saints, is this grace given, that I should preach among the Gentiles the unsearchable riches of Christ;"
Ephesians:3:16: "That He would grant you, according to the riches of His glory, to be strengthened with might by His Spirit in the inner man;"
Philippians:4:19: "But my God shall supply all your need according to His riches in glory by Christ Jesus." 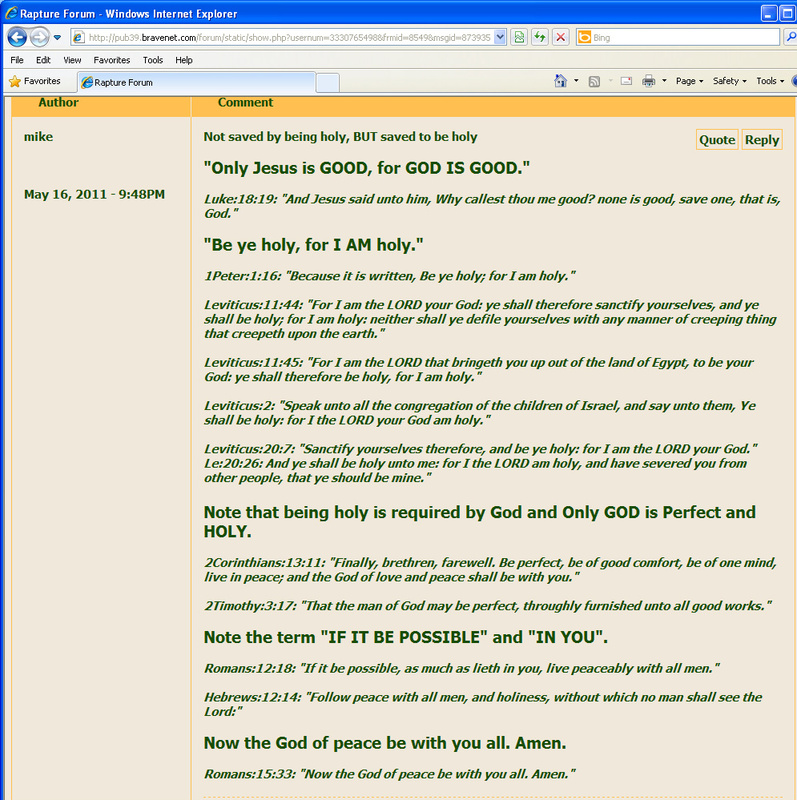 Colossians:1:27: "To whom God would make known what is the riches of the glory of this mystery among the Gentiles; which is Christ in you, the hope of glory:"
Colossians:2:2: "That their hearts might be comforted, being knit together in love, and unto all riches of the full assurance of understanding, to the acknowledgement of the mystery of God, and of the Father, and of Christ;"
Hebrews:11:26: "Esteeming the reproach of Christ greater riches than the treasures in Egypt: for he had respect unto the recompence of the reward." Revelation 5:12: "Saying with a loud voice, Worthy is the Lamb that was slain to receive power, and riches, and wisdom, and strength, and honour, and glory, and blessing." "While we look not at the things which are seen, but at the things which are not seen: for the things which are seen are temporal; but the things which are not seen are eternal." 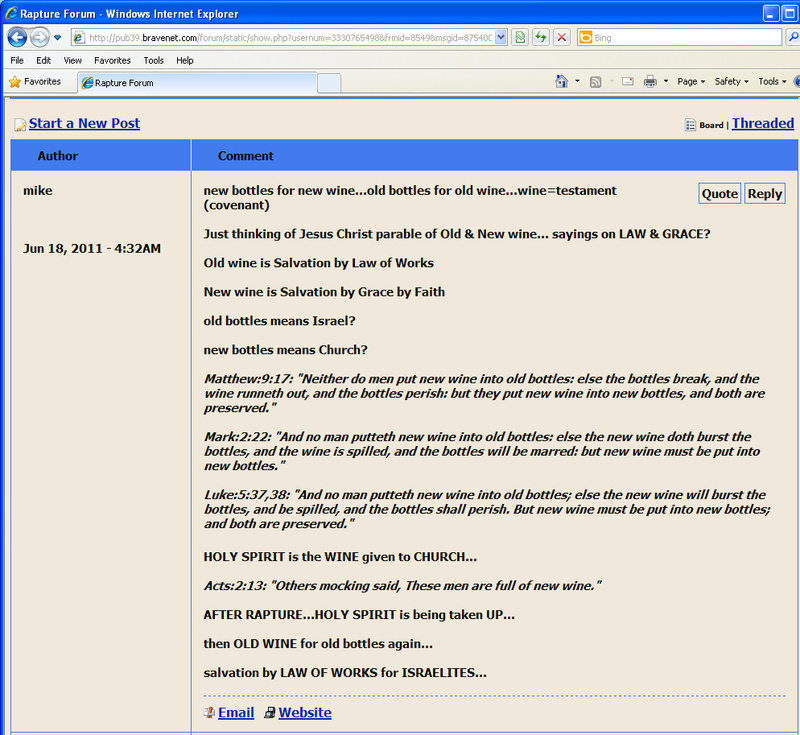 Treasures/Riches in This world or That world[Earth’s Twin]? But seek ye first the kingdom of God, and His righteousness; and all these things shall be added unto you." "No man can serve two masters: for either he will hate the one, and love the other; or else he will hold to the one, and despise the other. Ye cannot serve God and mammon[money,wealth or gain]." Hard for them that trust in riches to enter into the kingdom of God[Earth's Twin]! "And the disciples were astonished at His words. But Jesus answereth again, and saith unto them, Children, how hard is it for them that trust in riches to enter into the kingdom of God!" "Let as many servants as are under the yoke count their own masters worthy of all honour, that the name of God and his doctrine be not blasphemed. 2: And they that have believing masters, let them not despise them, because they are brethren; but rather do them service, because they are faithful and beloved, partakers of the benefit. 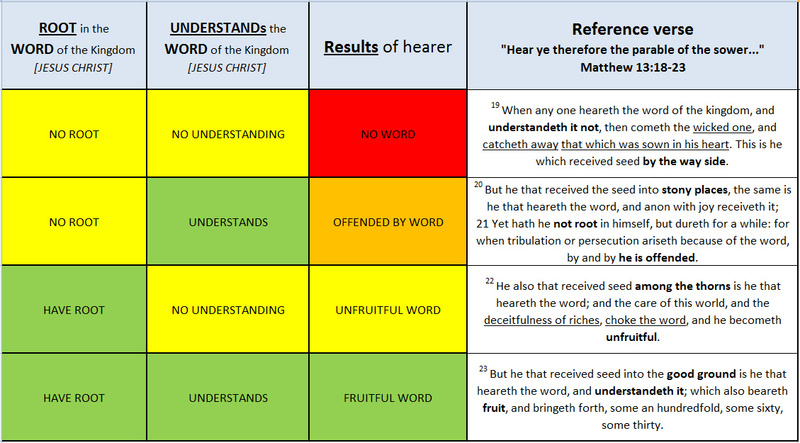 These things teach and exhort. 5: Perverse disputings of men of corrupt minds, and destitute of the truth, supposing that gain is godliness: from such withdraw thyself. 6: But godliness with contentment is great gain. 7: For we brought nothing into this world[implying another 'that' world], and it is certain we can carry nothing out. 8: And having food and raiment let us be therewith content. 9: But they that will be rich fall into temptation and a snare, and into many foolish and hurtful lusts, which drown men in destruction and perdition. 10: For the love of money is the root of all evil: which while some coveted after, they have erred from the faith, and pierced themselves through with many sorrows. 11: But thou, O man of God, flee these things; and follow after righteousness, godliness, faith, love, patience, meekness. 12: Fight the good fight of faith, lay hold on eternal life, whereunto thou art also called, and hast professed a good profession before many witnesses. 16: Who only hath immortality, dwelling in the light which no man can approach unto; whom no man hath seen, nor can see: to whom be honour and power everlasting. Amen. 19: Laying up in store for themselves a good foundation against the time to come, that they may lay hold on eternal life. 21: Which some professing have erred concerning the faith. Grace be with thee. Amen." Philippians:2:12: "Wherefore, my beloved, as ye have always obeyed, not as in my presence only, but now much more in my absence, work out your own salvation with fear and trembling." Romans:4:4: "Now to him that worketh is the reward not reckoned of grace, but of debt." 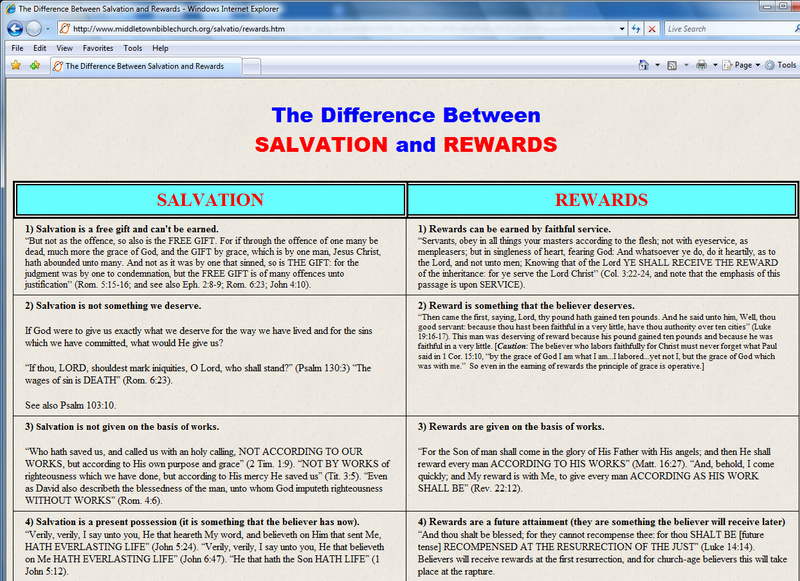 Jesus is coming to reward ALL TRUE BELIEVERS according to their OWN LABOUR [WORK]!!! Revelation:22:12: "And, behold, I come quickly; and my reward is with me, to give every man according as his work shall be." 1Corinthians:3:8,14: "Now he that planteth and he that watereth are one: and every man shall receive his own reward according to his own labour. If any man's work abide which he hath built thereupon, he shall receive a reward." 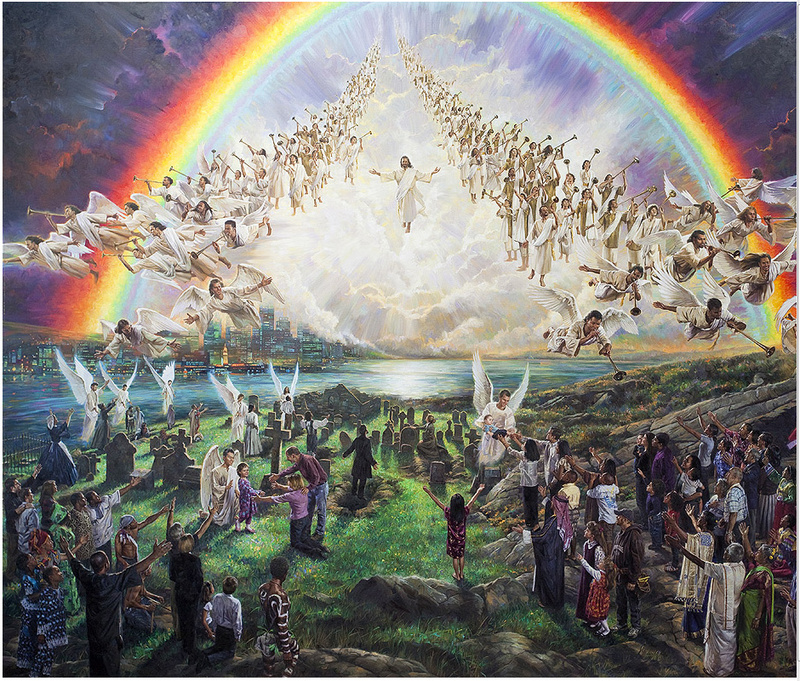 Revelation:11:18: "And the nations were angry, and thy wrath is come, and the time of the dead, that they should be judged, and that thou shouldest give reward unto [1st group]thy servants the prophets, and [2nd group]to the saints, and [3rd group]them that fear thy name, small and great; and shouldest destroy them which destroy the earth." Proverb:13:13: "Whoso despiseth the word shall be destroyed: but he that feareth the commandment shall be rewarded." Matthew:25:26: "His lord answered and said unto him, Thou wicked and slothful servant, thou knewest[Jesus] that I reap where I sowed not, and gather where I have not strawed:"
Acts:2:38: "Then Peter said unto them, Repent, and be baptized every one of you in the name of Jesus Christ for the remission of sins, and ye shall receive the gift of the Holy Ghost." Acts:10:45: "And they of the circumcision which believed were astonished, as many as came with Peter, because that on the Gentiles also was poured out the gift of the Holy Ghost." Acts:11:17: "Forasmuch then as God gave them the like gift as He did unto us, who believed on the Lord Jesus Christ; what was I, that I could withstand God?" Romans:1:11: "For I long to see you, that I may impart unto you some spiritual gift, to the end ye may be established;"
Romans:5:15-18: "But not as the offence, so also is the free gift. For if through the offence of one many be dead, much more the grace of God, and the gift by grace, which is by one man, Jesus Christ, hath abounded unto many. And not as it was by one that sinned, so is the gift: for the judgment was by one to condemnation, but the free gift is of many offences unto justification[NOT SANCTIFICATION nor GLORIFICATION]. For if by one man's offence death reigned by one; much more they which receive abundance of grace and of the gift of righteousness shall reign in life by one, Jesus Christ.) Therefore as by the offence of one judgment came upon all men to condemnation; even so by the righteousness of one the free gift came upon all men unto justification[NOT SANCTIFICATION nor GLORIFICATION] of life." Romans:6:23: "For the wages of sin is death[HELL]; but the gift of God is eternal life[NO HELL] through Jesus Christ our Lord. Romans:11:29: "For the gifts and calling of God are without repentance." Romans:12:6: "Having then gifts differing according to the grace that is given to us, whether prophecy, let us prophesy according to the proportion of faith;"
1Corinthians:7:7: "For I would that all men were even as I myself. 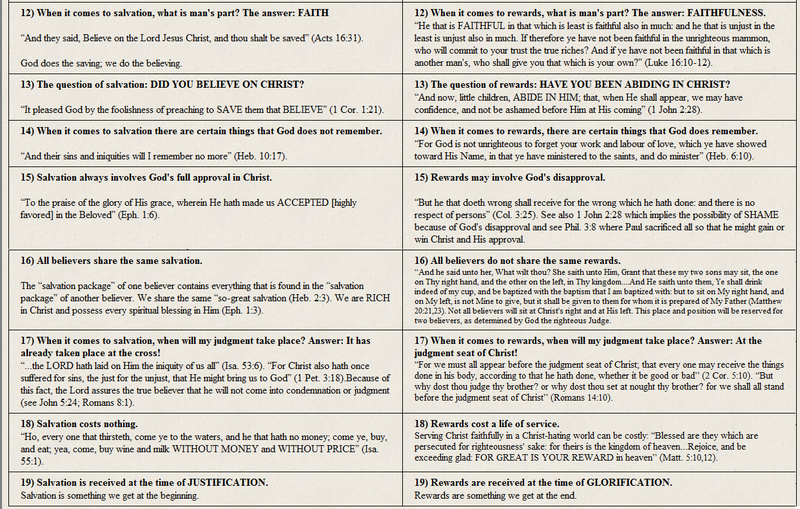 But every man[True Believer] hath his proper gift of God, one after this manner, and another after that." 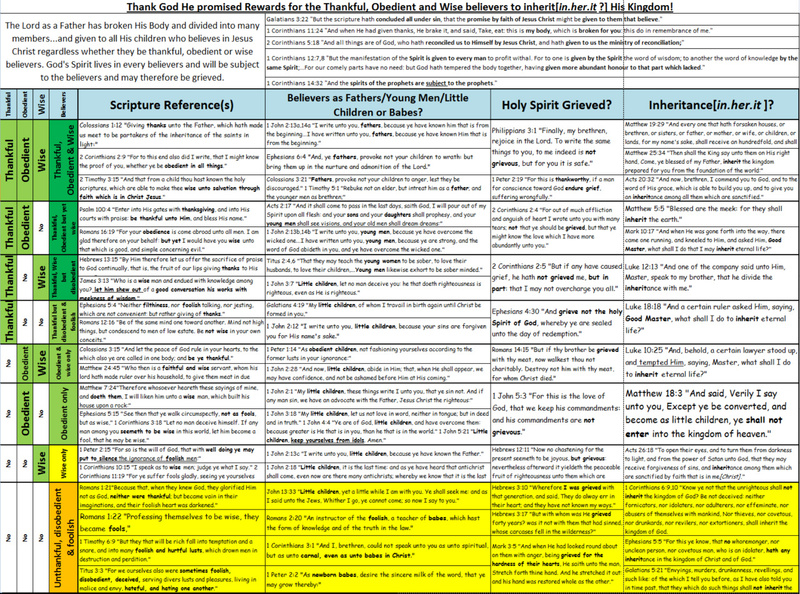 1Corinthians:12:1,4,9,28,30-31: "Now concerning spiritual gifts, brethren, I would not have you ignorant....Now there are diversities of gifts, but the same Spirit...To another faith by the same Spirit; to another the gifts of healing by the same Spirit;...And God hath set some in the church, first apostles, secondarily prophets, thirdly teachers, after that miracles, then gifts of healings, helps, governments, diversities of tongues...Have all the gifts of healing? do all speak with tongues? 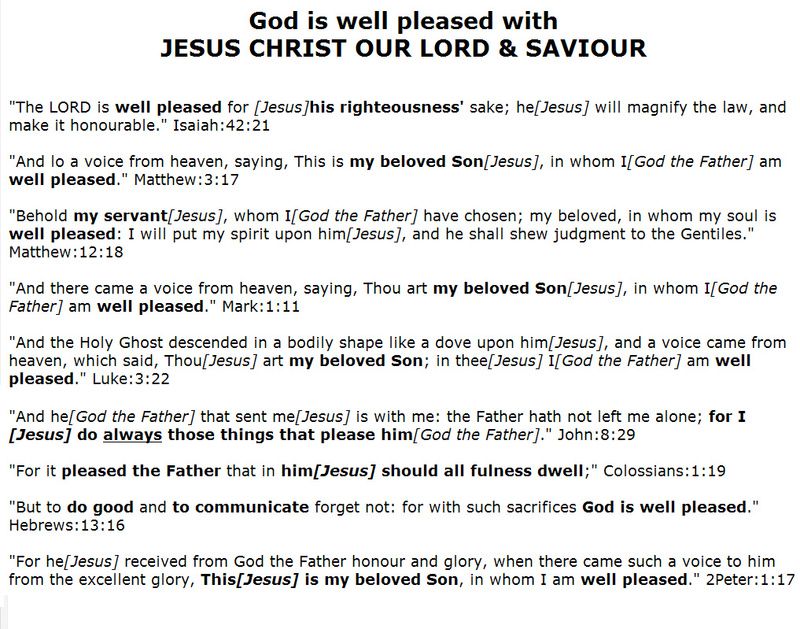 do all interpret?...But covet earnestly the best gifts: and yet shew I unto you a more excellent way." 1Corinthians:13:2: "And though I have the gift of prophecy, and understand all mysteries, and all knowledge; and though I have all faith, so that I could remove mountains, and have not charity, I am nothing." 1Corinthians:14:1,12: "Follow after charity, and desire spiritual gifts, but rather that ye may prophesy...Even so ye, forasmuch as ye are zealous of spiritual gifts, seek that ye may excel to the edifying of the church." 2Corinthians:9:15: "Thanks be unto God for his unspeakable gift." Ephesians:2:8: "For by grace are ye saved[NOT RAPTURE]through faith; and that not of yourselves: it is the gift of God:"
Ephesians:4:7,8: "But unto every one of us is given grace according to the measure of the gift of Christ. 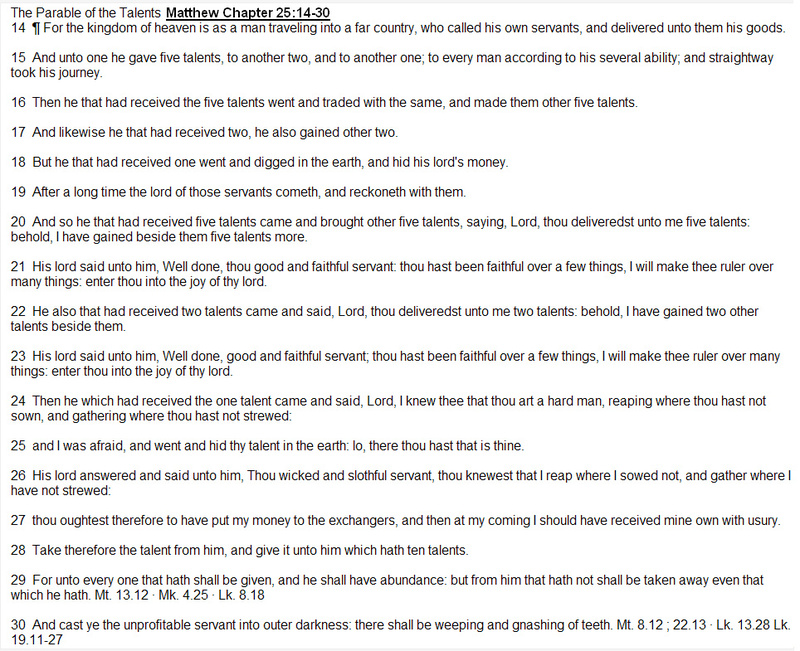 Wherefore He saith, When He ascended up on high, He led captivity captive, and gave gifts unto men." 1Timothy:4:14: "Neglect not the gift that is in thee, which was given thee by prophecy, with the laying on of the hands of the presbytery." 2Timothy:1:6: "Wherefore I put thee in remembrance that thou stir up the gift of God, which is in thee by the putting on of my hands." Hebrews:2:4: "God also bearing them witness, both with signs and wonders, and with divers miracles, and gifts of the Holy Ghost, according to His own will?" 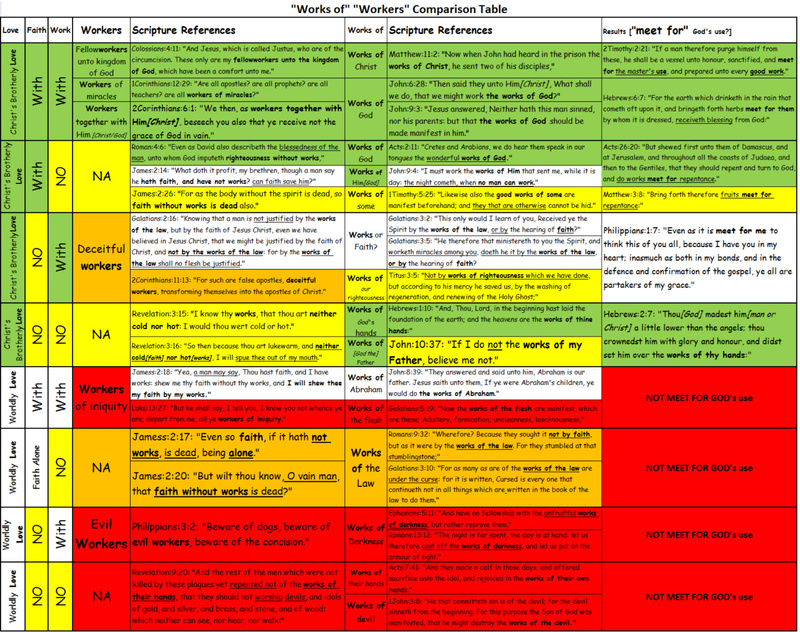 Hebrews:6:4: "For it is impossible for those who were once enlightened, and have tasted of the heavenly gift, and were made partakers of the Holy Ghost,"
James:1:17: "Every good gift and every perfect gift is from above, and cometh down from the Father of lights, with whom is no variableness, neither shadow of turning." 1Peter:4:10: "As every man[True Believer] hath received the gift, even so minister the same one to another, as good stewards of the manifold grace of God." Why shall ANYONE say all manner of evil against someone falsely, for JESUS' sake? What is so EVIL that a Christian will be EVIL spoken of who is persecuted for Christ? “Blessed are they which are persecuted for righteousness' sake: for theirs is the kingdom of heaven. Blessed are ye, when men shall revile you, and persecute you, and shall say all manner of evil against you falsely, for [JESUS] my sake. specially of those that believe. against that day[RAPTURE OR REWARD]. 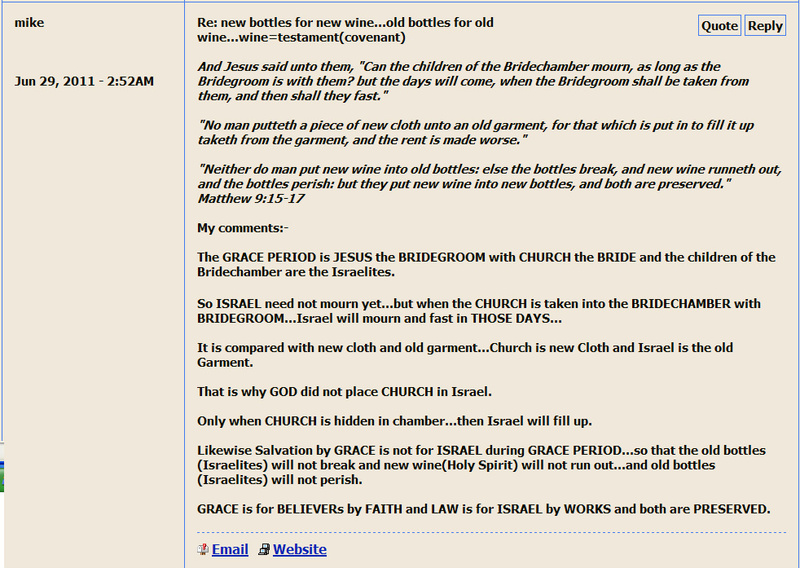 by changing now for Christ ? and in sin did my mother conceive me." and it is certain we can carry nothing out." the LORD gave, and the LORD hath taken away; blessed be the name of the LORD." "For they that say such things declare plainly that they seek a country. they might have had opportunity to have returned. wherefore God is not ashamed to be called their God: for He hath prepared for them a city." "For to do whatsoever thy hand and thy counsel determined before to be done." determined to send relief unto the brethren which dwelt in Judaea:"
save Jesus Christ, and Him crucified." and an house for his kingdom." work out your own salvation with fear and trembling." because the harvest is come." and in His hand a sharp sickle. for the harvest of the earth is ripe. and the earth was reaped." he also having a sharp sickle. for her grapes are fully ripe. and cast it into the great winepress of the wrath of God." and the reapers are the angels." for the Harvest truly is [great]plenteous. that He will send forth labourers into His harvest." that He would send forth labourers into His harvest." for they are white already to harvest." that treadeth out the corn. And, The labourer is worthy of his reward." for in the like manner did their fathers unto the prophets." for He is kind unto the unthankful and to the evil." according to his own labour." yet so as by fire." 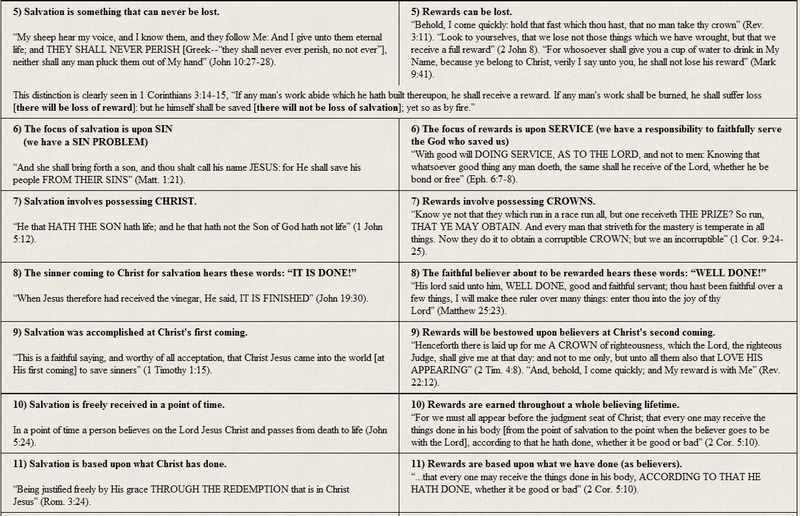 a dispensation of the gospel is committed unto me." for ye serve the Lord Christ." which hath great recompence of reward." for he had respect unto the recompence of the reward." but that we receive a full reward." and shouldest destroy them which destroy the earth." to give every man according as his work shall be."